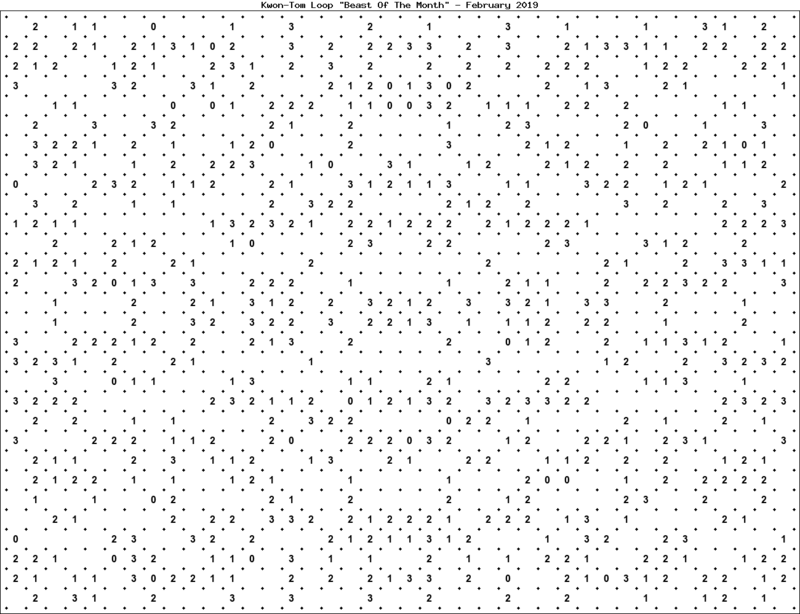 The "Beast Of The Month" is a very large puzzle, too big to display in the usual Kwon-Tom Loop interactive format. It's presented here as an image which you can print off and solve on paper. 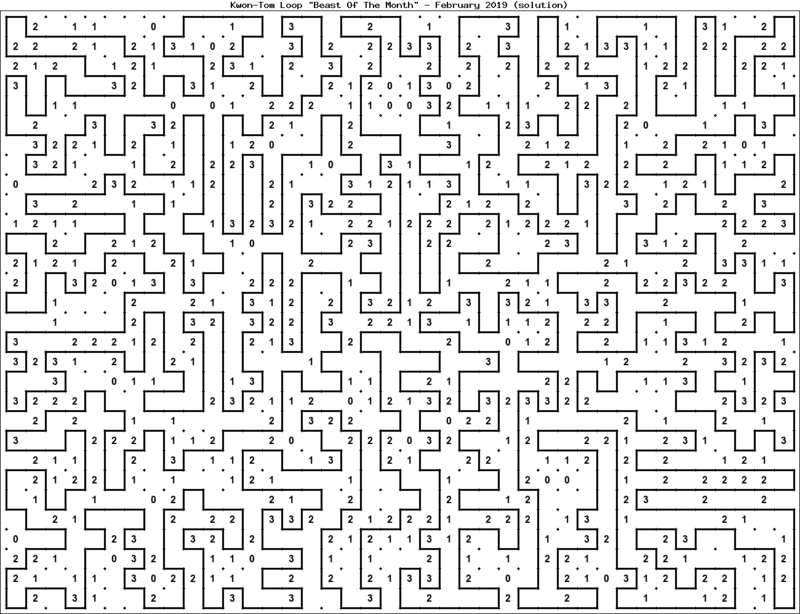 The suggested way to print this puzzle off is to save it to your local machine - for example, by right-clicking the above link and saving it, then opening that saved copy and printing it (in landscape format if possible). You may be able to print it directly from your web browser, but it's likely to require some scaling so it fits on the paper.